As of January 1, 2019, new federal laws under the Tax Cuts and Jobs Act affecting the deductibility of spousal support on federal income taxes went into effect. These changes have the potential to drastically affect the outcome of divorce negotiations and settlement going forward, so it is important that you understand how these changes may affect your Florida divorce. At the office of Blair H. Chan, III, we have helped many clients throughout the Tampa Bay area navigate their divorce settlement successfully and are here to help you if you give our office a call. 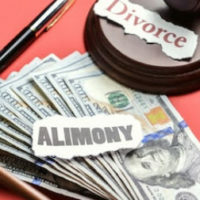 Also known as spousal support, alimony is regular payments made by the wealthier spouse to the financially dependent spouse during and after a divorce. The purpose of alimony is to help the less wealthy spouse maintain their standard of living and aid in their transition to becoming financially independent. Under the old tax laws, alimony was incentivized because the wealthier spouse was allowed to deduct the amount of spousal support from their federal income taxes. The receiving spouse then had to claim the amount of support received on her income taxes. The new laws for alimony slash the deductibility of spousal support for the higher earning spouse. Beginning this year, the wealthier spouse is no longer allowed to deduct alimony from their federal income taxes, and the lesser earning spouse no longer has to claim the amount on their income taxes. The purpose of this change was to tax alimony at a higher rate. Under the old laws, alimony was taxed at the lower tax bracket of the lesser earning spouse while the wealthier spouse was allowed to deduct it at a higher tax bracket. Now, the money transferred in alimony will be taxed at the wealthier spouse’s rate. The changes to spousal support have the potential to drastically affect your upcoming divorce. First, incentivizing alimony helped to minimize arguments regarding the division of assets and support when there was a benefit to the wealthier spouse to part with his money for spousal support. The elimination of this incentive could lead to more arguments during divorce negotiations over the issue of support now that the benefit has been eliminated, which could in turn make the entire process longer and costlier. In addition, the elimination of the alimony benefits could change the division of property in your divorce. In a growing number of divorce cases, the wealthier spouse is willing to part with a larger percentage of the marital estate in exchange for a reduced or eliminated alimony check. However, you should consult with a divorce attorney before accepting this type of offer because there are potential pitfalls to accepting a marital home or other property in exchange for spousal support. In many cases, the lesser earning spouse realizes that they cannot pay the taxes on the property received in the divorce settlement and are often required to sell the property they just accepted as part of the divorce. To learn more about how the federal changes in alimony law may affect your divorce, contact the Tampa spousal support attorneys at the office of Blair H. Chan, III in Tampa today. Our team is eager to assist you throughout each step of your case.